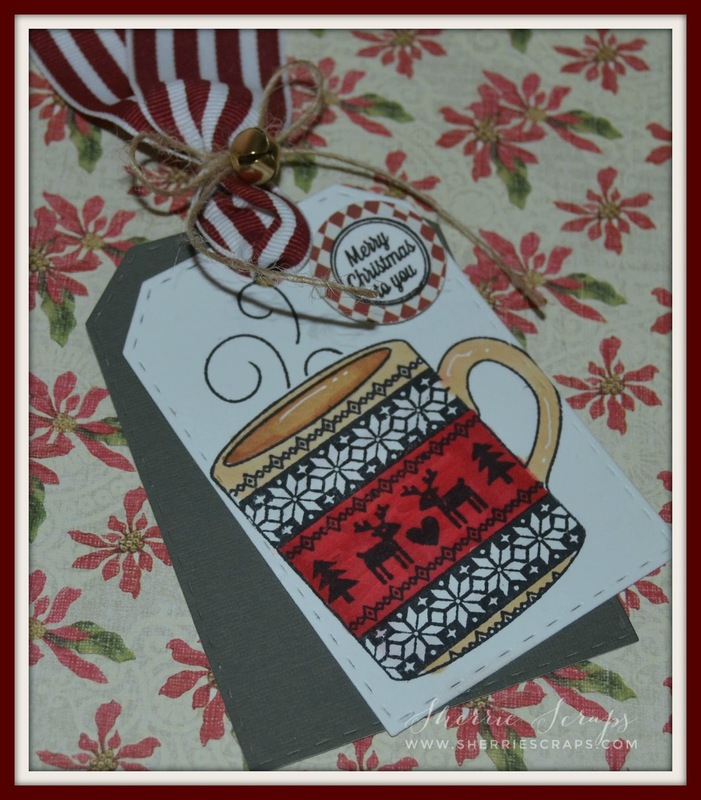 Jaded Blossom: Guest Designer Sherrie! This is Sherrie from Sherrie Scraps with Passion and I am super thrilled to have been chosen as one of the Guest Designers for the month of December at Jaded Blossom...yeah!! Today, I have a FUN trio set I made for a friend. I thought it would make a fun gift idea since she loves coffee, tea, hot chocolate, etc. 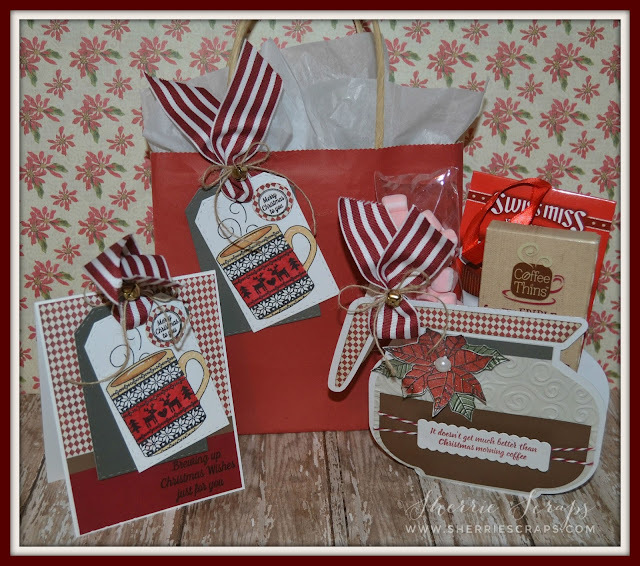 Perfect little gift for her for Christmas morning! I used Jaded Blossoms new Holiday Sweater Mug for the mugs, the tag is the Luggage Tag Dies and the poinsettia from the Poinsettia stamp set. The sentiments are stamped with the Christmas Candies and Happy Brew Year. THANKS again for having me Michelle and Candace!! 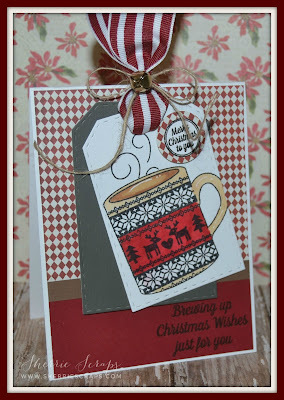 I appreciate it and had a fun time creating with your awesome stamps and dies! wow! amazing work! love how its all a matching set ! Wow!!! This is gorgeous!!! Anyone would love to receive this!!! OMG!! This is so gorgeous! What an awesome gift set! Your friend is going to love it, great job Sherrie! 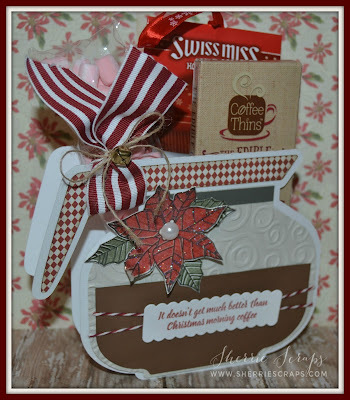 Gorgeous and inspiring projects Sherrie! I adore this mug! oh my! This is fantastic! WOW!! This is Gorgeous!! Beautifully done! All your projects are FANTASTIC my friend!!!! This is FANTASTIC Sherrie! Love that coffee pot box! Absolutely LOVE that coffee pot! fantastic on all of these! such a cute collection! SOOOO cute!!! I love this!! !